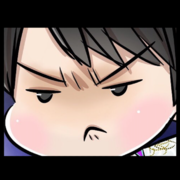 A weird number of people seem convinced that Yuzu won’t add back his 4Lo and I’m scratching my head as to why. Yeah, sure, he got injured on it, but skaters don’t just stop jumping something because they got injured doing it. The circumstances around 4Lz were very different. I think for a lot of them that's wishful thinking. Sure, he definitely has a lower success rate on it/it puts more strain on his body, so strategically if Nathan/Shoma mess up their shorts he might decide not to put it in. 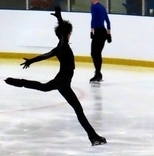 But I would be very, very surprised if he wasn't at least planning on jumping it in his FS. I would be surprised if he didn't go for it even if they do mess up unless he's still seriously injured. He's never been known for playing it safe and when he finally listened to Brian at 2017 Autumn Classic his FS was disastrous. ....but these are two different instances? I mean, for what it's worth, both measurement could actually be accurate enough, and the second measurement doesn't necessarily invalidate the first one (it can really be that Yuzu happened to jump bigger on the second instance compared to the first instance). I'm pretty sure you're right. 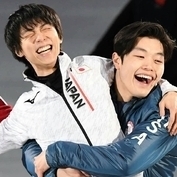 I used Dataman's method for measurement on the salchow and the length was approximately double Yuzu's height, making it just under 3.5 meters long. This is so clever. Now I want to collect any still photo of a jump I ever see so I can measure. Nathan's height = 166 cm. Shoma' height = 158 cm. Did they overlap some of the frames on the second pic? I know his jumps are smaller but he wouldn't be able to do the jump if they were that small. Maybe it's the angle. I need to find that twitter vid of Shoma's axel. oops, just realized that Performlive had all the stats listed. Oh well, still interesting to see the stills side by side. 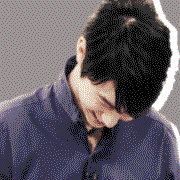 eta: just realized that Performlive has Yuzu listed at 170 cm instead of 172. That's the 3A though? The program used 4S (mainly because of Rika saying she's studying Yuzu's 4S). That's why it's a comparison... I find it hard to believe that his 4S will be of less length (and height-the twitter thread counted the height of the jump at 77+cm) than his 3A. I don't really know how Ice Scope works as well (is this the work of Ice Scope even? ), but from the picture, it looks like the camera angle is slightly slanted. Well, the 4S stats looks to be from Olympic Chopin which had the SE sandwich transition while the 3A photo was taken during practice sessions where he's more relaxed and doesn't do as much crazy transitions. Honestly, until we have actual ice scope or maybe another Data Man documentary where they measured his 4T we can only speculate. But it sure is interesting seeing those figures. That was fascinating, the view of one champion who knew better than we ever can what Yuzu faced with that injury... his respect (and Yuzu's for him) is lovely. Yeah. At Helsinki practices, 4Lo was one of the jumps he was practicing the most, being apparently frustrated that landing the jump was difficult on that ice (many skaters had problems with the ice at this competition). He clearly wants to include the jump this season (and he LOVES the jump). So, yeah, I'm pretty sure 4Lo will be back at worlds. They also implied that Yuzu was fine when he was wasn't.. How can trust any word concerning Yuzu's condition coming out Brian's mouth? I'm afraid of getting my hopes up too much, no matter whether Brian's trying to spin Yuzu's condition as better or worse than he really is. The thing is, if you are talking about comparing accuracy(: closeness of the measuring instrument's result to the actual measurand value — in this case, Yuzu's jump), you can't even compare two different measuring systems (at least that's what I see here with the Dataman and the twitter measurement — can anyone check if the measurement system is really identical?). If you are comparing two different measurement systems, then what you do is measure one thing (which has known value(: in this case Yuzu's jump distance)) with those two different systems and compare which one has the closest result to the known value. Yes, it is a comparison, those two instances, but don't call it accuracy comparison, because accuracy comparison doesn't work that way. Sorry for being pedantic, but as someone who learned measurement theory during undergrad and grad study I felt the need to point that out. Also, for what its worth, both measurement instances could be both accurate or inaccurate, there's no telling — we don't know the exact distance or height from those moments. You are indeed being pedantic, which is fine. Notice that I never claim the one I posted was accurate either? Or that I never call it an 'accuracy comparison'? Yeah. My point of posting it was so that people can have different information to think about; not just the one seemingly 'official'. Part of it because I am anticipating cooked up comparisons of his jumps to those of certain other skaters, like they attempted last year. Hmm... I sure hope this is only plausible for quads and triples. Cz for triples and doubles, if this is also true, that'd be pretty sad. That said, I would still think that the size of the jumps as you add more rotation have to be somewhat bigger (longer across and higher), with the exception of skaters who rely on rotational speed alone. You either rotate faster or jump bigger. I concede that for the axel jumps, there are all possibilities that it could be as big or even bigger than the one-more-rotation version of the other types (2A vs non-axel triples, 3A vs non-axel quads). I might not know anything tho. I only studied applied math and I sure as hell didn't compute these things. If you find any error in numbers pls let me know. My take is that high/ long/fast don't always produce great GOE. Cant wait for Yuzu's perfect 3A at WC. BTW this is my first post. I am a chronic lurker but been here since the genesis of this site. All hail to the Admin!! Welcome, Cronkite, seems you are a real asset to the Planet! Post as often as you like, please!